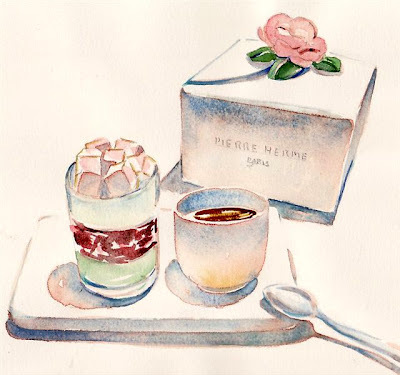 #111 Emotion Pierre Herme, original watercolor - SOLD, 9" x 11"
Access to French macarons is not readily available if you live in the US for the most part. However if you are lucky enough to live in Japan, things are different. Not only are French macarons shops on almost every corner...well it looks like that to me. But there is a ton of macaron toys and souvenirs to be had! HUMPH! PB reader Yuko N. kindly sent me these photos. 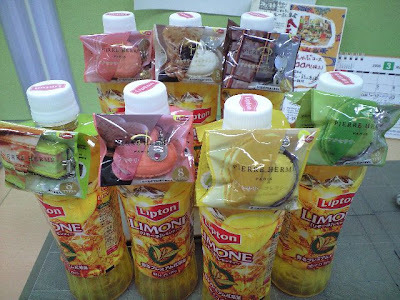 Yuko has only to go out and buy a bottle of Lipton Tea and she gets a Pierre Herme Macaron key chain FREE! LOOK! 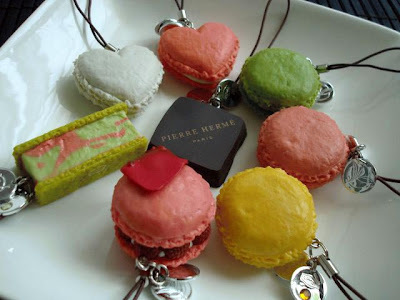 Pierre Herme chocolate key chains and ice cream sandwich key chains! The French expression, "cela me donne l'eau a la bouche" (this wets my appetite) definitely fits here. THANK YOU Yuko for sending the lovely photos! 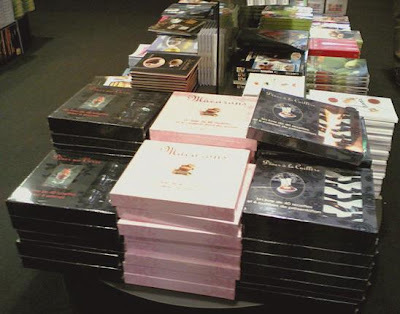 Books waiting at FNAC to be gobbled up. I admit to buying this book a few trips back - it looked so delicious. Unfortunately my french cooking skills are not yet up to snuff...ahem The charming foot belongs to M. by the way. It makes you want to pack your pack instantly and head where? I am wondering why the Macrones havent taken off in the USA like they have in Japan & other places. Someone is missing the boat here. Yup the key chains make a trip to Tokyo obligatory. What great still life objects too and no calories! Some people are so lucky! 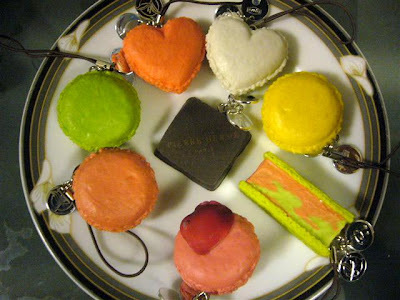 I want macarons and key chains! Calories? I think they take them all out of those, don't they? Beautiful painting! 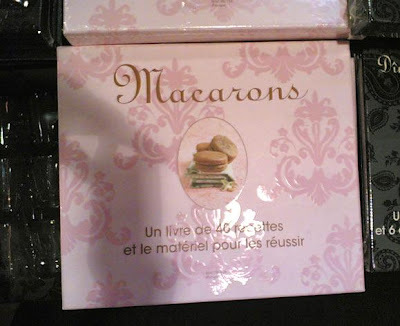 I'm going to be in Provence next month, but I don't remember ever seeing macarons there. Are they just a Paris treat?? All of these macaron make me wonder if whoever made the first Oreo had had a macaron and they craved one and tried to recreate it and it all went terribly awry. I want one of those keychains. I really don't understand why they have Pierre Hermé macarons in Japan and we don't in NYC!!!!! 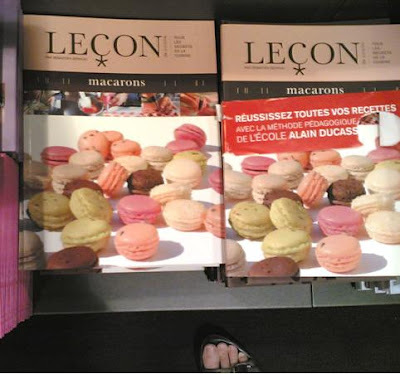 We have the book about Macarons Leçon and trust me it's not easy. Thank goodness there are only 2 weeks between me an les macarons! Definitely must grocery shop in Japan soon! 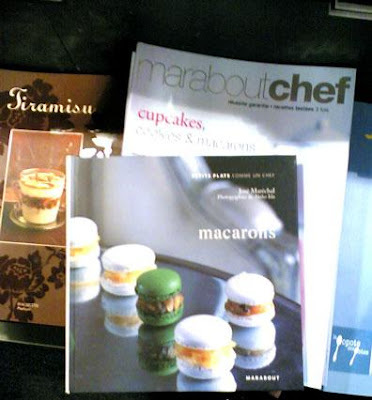 Was the name of the macarons book "Macarons ; Lecon De Cuisine . Culinaires, 2007" that you mentioned purchasing? Pistaccio and Black Currents (Cassis) tasted really good. I can't get over the PH keychains!!! Here's some from a "French shop" in Australia for you. 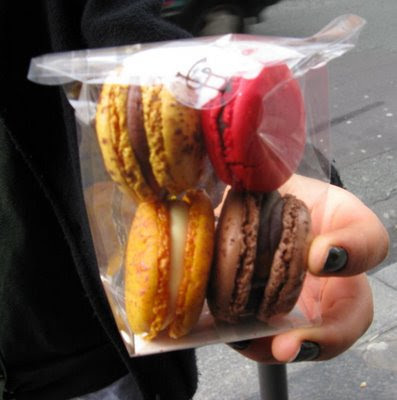 I'm completely befuddled by the Herme Macaron craze (my same feelings regarding the Magnolia Muffins in NYC). I admire the creativity involved in making these sweets (but I think it stops there). The macarons are so sweet and then so ____(pick your flavor of choice). My sister couldnt even finish 1 and Im feeling rather ill after 2. Ive managed to tongue-scrape what I believe to be the best part (crusty flakes around the fillings). To be honest, I think it's just mob hysteria or is it possible that my taste is that much more discerning?? ?